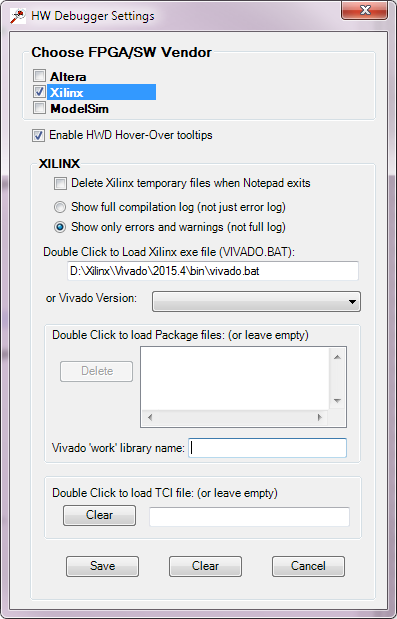 This is the Xilinx preferences box. 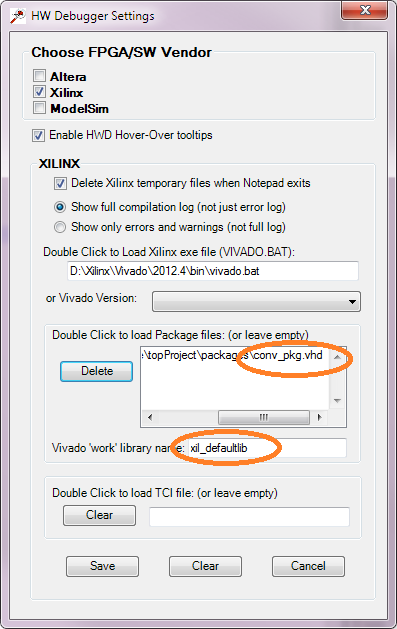 Hardware Debugger Tool uses Vivado as the main tool for Xilinx compilation. After choosing the suitable version from the drop-down box (or locating it manually), you can 'save' and synthesize the design for errors. 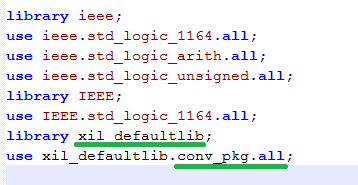 In case there is a reference to libraries, you should add a reference to the library (xil_defaultlib in the example on the left) and the path to the file(conv_pkg). You could run your own tcl file, with your own script. In this case, just load the file, click on 'Save', and the next time you run the HWD tool (click F7) your tcl will run.